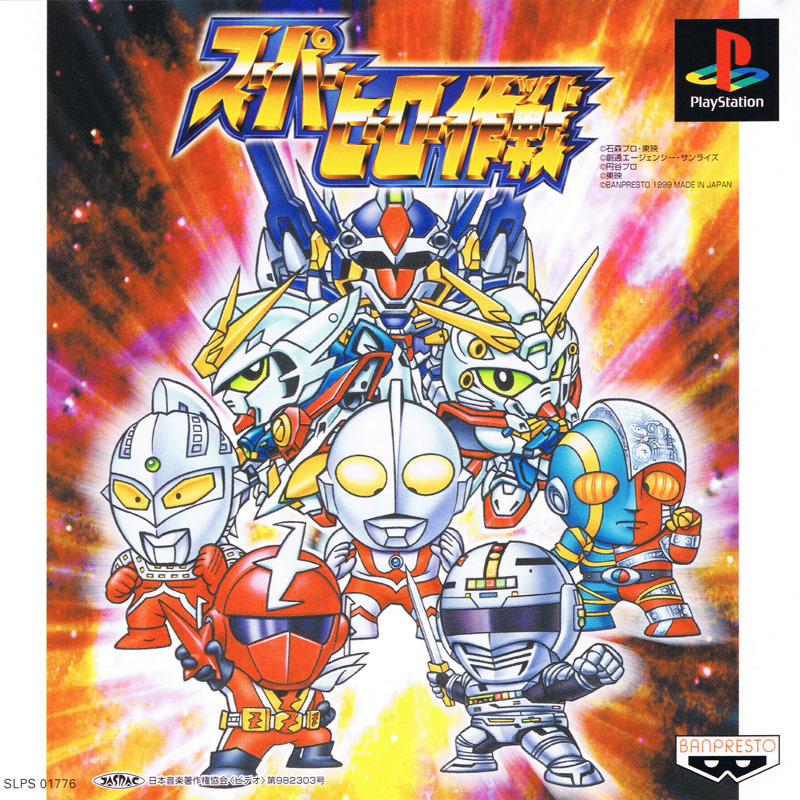 Super Hero Sakusen (Super Hero Operations) is an RPG released in 1999 by Banpresto for the Sony PlayStation. 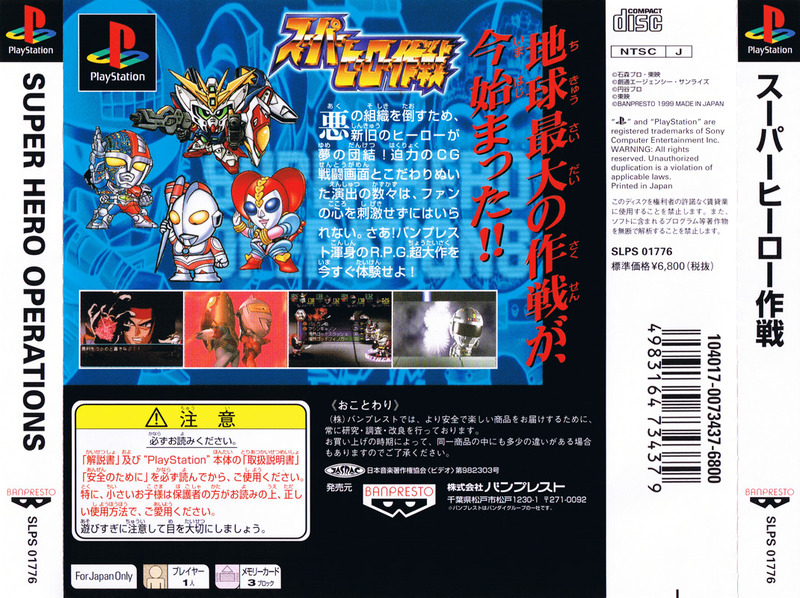 The main characters from this game are Ingram Prisken / Viletta Vadim and the SRX team from Super Robot Wars OG, beside many of there Japanese heroes like Space Sheriffs, Ultraman Heroes, Kikaiders, Choujinki Metalder and Kaiketsu Zubat, beside Mobile Suit Gundam Wing and Mobile Fighter G Gundam, the game is full in Japanese and never been translated to English, but in Japan this game is still considered as Masterpiece. Now you can add videos, screenshots, or other images (cover scans, disc scans, etc.) for Super Hero Sakusen (Japan) to Emuparadise. Do it now!